Backyard Mudslingers Pottery Studio: Yikes - it's May! Welcome to a new month already. I've done many mental updates over the past 5 weeks. Yay for me that I'm actually sharing one. The month started off with a quick fun trip to St. George for spring break. 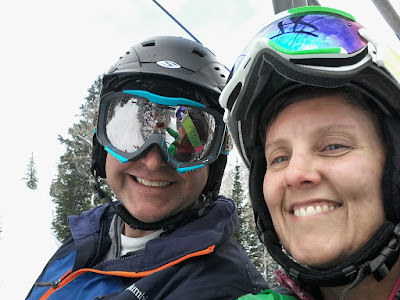 A few mountain bike rides, dinners with friends, climbing, playing in the sand and enjoying the warmth were packed in to a couple days. April 12 was Gretchen's 16th birthday! It was an action packed day that started with her family celebration at 6:20am so Brian could get to work & actually see her that day. Cream puffs were the requested treat (no cake please). They made a yummy breakfast. 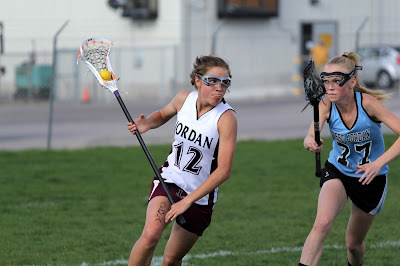 After school was a lacrosse game. Well played and fun to watch! I played around with some covered jars and a different technique. 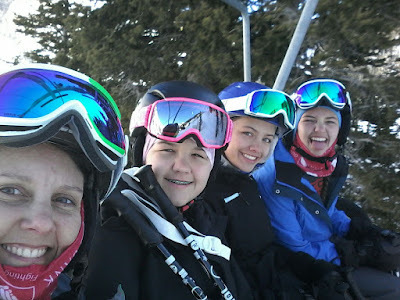 The girls and I had our last ski day April 7. Lots of fun. And then I had another last day with Brian 3 weeks later because there was so much fresh new snow! 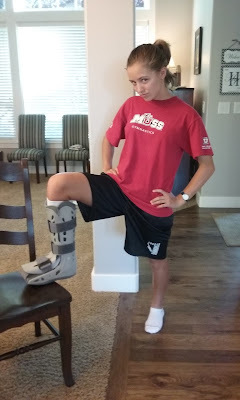 Gretchen had been complaining about leg pain for a week or two and I finally got her in to see a doctor - stress fracture & 4 weeks in a boot. Farewell lacrosse season & hello to a healthy and painfree summer. And finally, here we are in May. Sam turned 20 2 days ago and we get to skype with her in 3 days. Awesome. Emily, I'm sure if you listed out your month it would be just as crazy busy, if not more! It's all good & I know we would be a bit sad to have loads of down time staring at us. A day or two might be nice, but an unending supply would be torture!